Learning a new language has to be fun! This is our motto and we teach accordingly – with success! 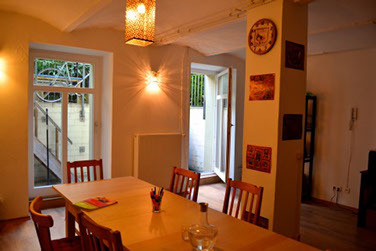 Our recipe for success are small groups in a relaxed and alternative ambience. Very much unlike your typical school setting. 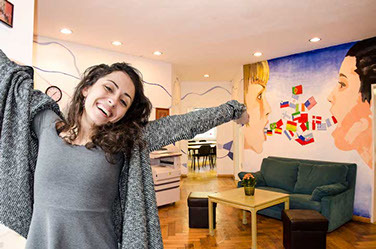 TÚ TAMBIÉN is the meeting place for everyone who wants to learn German or get to know the rich culture of Latin America. We are a young and small school in Prenzlauer Berg which allows us to give all our students the personal attention they need. Our team is passionate and professional with teachers from Latin America, Spain and Germany. We teach with our own proven and tested method and have a profound knowledge of linguistics as well as of politics, economy and history of Latin America. Learning German at the Sprachschule Aktiv München is fun! And it is very effective. Our language school in the beautiful Bavarian city Munich is a recognized and certified educational establishment. With us you will learn German in a professional environment. Our team consists exclusively of academics with a university degree and many years of experience in teaching the German language. Furthermore our teachers are all native speakers. This ensures the best conditions for you when you learn the German language. We offer German courses for all levels all year round in Munich. We are a certified language school, and all our courses are based on the Common European Framework of Reference for Languages. At the end of our German courses the students receive a certificate of attendance. Sprachschule Aktiv also has language schools in Frankfurt, Ingolstadt and Freising.